The Creality CR-10S is Creality’s latest model of 3D printers. Now with a range of spares and replacement parts assuring an uninterrupted printing experience! * Please note that this product is limited to one per customer. When it comes to large build volumes for desktop 3D Printers, Creality have shown that they are capable of doing it best with their latest model – the Creality CR-10S. 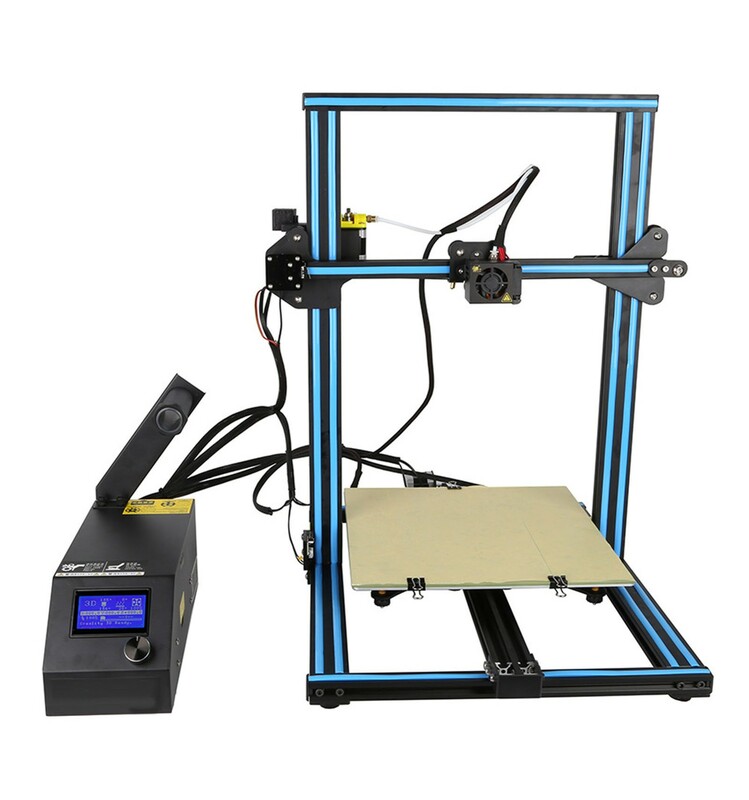 This beast of a machine boasts an impressive 300x300x300mm build volume backed by some of the latest 3D Printing technology available, with a firm, strong chassis capable of maintaining high precision over countless hours of operation. 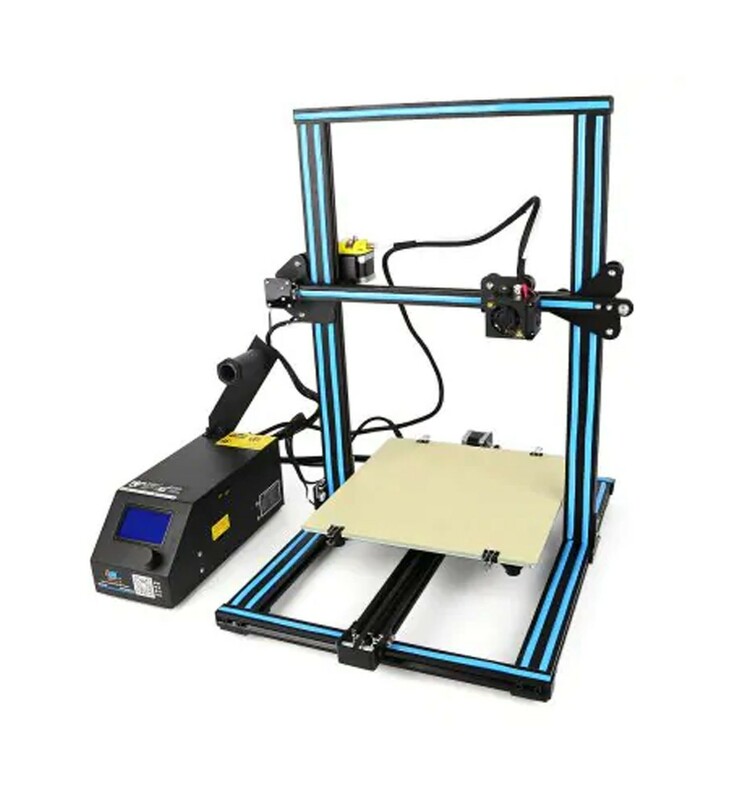 Filament Run-Out Sensor – Based within the extruder body, this sensor monitors the incoming filament feed and identifies when it reaches the end of the spool. Once this happens, it beeps to let you know. Auto Pause/Print Resume Function – In addition to automatically sensing when the filament is finished, the CR-10S is also capable of pausing operations and maintaining a standby mode until you are ready to resume. It keeps the hotend and print bed warm, so as to ensure the filament doesn’t harden too much, and waits for you to load another spool. Then, when you’re ready, you can simply select the Print Resume Function to continue from wherever it left off, making those extra-long or overnight prints far less daunting. Dual Z-Axis Leadscrews – When the original Creality CR-10 came out, the world was impressed at how rigid and firm the frame and chassis was… and now they’ve improved even further on their design! With two Z-axis leadscrews, this frame is the strongest we’ve seen to date, and is even better than the original design that they were praised for worldwide. This translates to greater print quality, as well as a longer lifespan as the strain is shared over two leadscrews rather than just one. Why Buy Your Creality CR-10S From DIYElectronics? We are completely committed to supporting and developing the 3D printing community in South Africa and abroad. All our printers come with a 6 month warranty on all parts during normal use, and we stock all replacement parts necessary so you are never left with a 3D printer that isn't printing. Furthermore, we also offer complete support by specialists for all machines purchased from us, and give full support throughout the build and general use via our extremely helpful support desk ([email protected]). 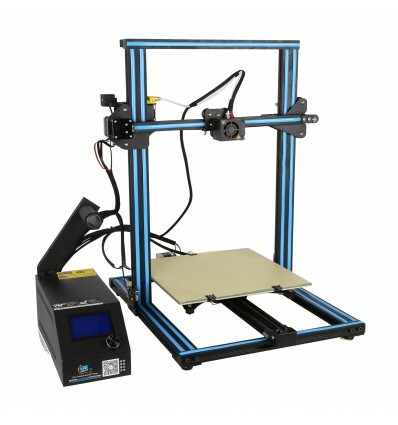 These are very important factors to consider when buying a 3D printer. If you’re looking for a new 3D printer with a massive build volume, superb print quality and one of the most durable frame-chassis kits on the market, the Creality CR-10S is what you’ve been waiting for. Not only have Creality improved upon almost every feature of the original Creality CR-10, but they’re also added some extra exciting features that enhance the print quality, reliability, usability and even convenience throughout the printing process. Just did my first print and as a novice this was extremely easy to setup and get going on. First print was perfect. Thanks to the advise from the DIY Electronics team, very happy with my purchase and the usual excellent service.